Man-Up Monday - What Are You Afraid Of? It's true that keeping your marriage headed consistently in the right direction can be challenging. The good news is that you can help make sure your relationship stays on course by employing three essential tools for marital navigation. In Part 1, Watchfulness, I explained why it is hugely important to pay close attention to your marriage. In Part 2, Transparency, I posed that the level of intimacy in your marriage will be capped by the degree of transparency you share. The third and final component of what I am referring to as the “GPS system for your marriage” is Accountability. The first dimension of accountability is in your personal relationship with Jesus. While I’m dead set against the notion that we can “earn” God’s favor by jumping through spiritual hoops, I do believe that the level of intimacy a husband and wife personally share with Jesus individually directly influences the intimacy level in their marriage.Your spiritual walk is the foundation of your marriage - keep it strong. The second degree of accountability is for husband and wife to be accountable to one another. This basically involves being answerable to each other for your actions and attitudes. In the partnership that is a surrendered marriage, transparency and watchfulness work together to enable accountability. As you pursue together the kind of marriage you want to have, it is good and right to speak lovingly to each other of what your marriage can be. This is absolutely NOT an invitation to nit-pick each other to death or to keep score on each other. Rather, in an open and honoring atmosphere, it's about helping each to love the other well. 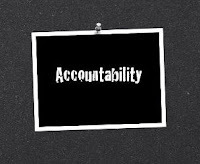 The third and final area of accountability is accountability with other couples. 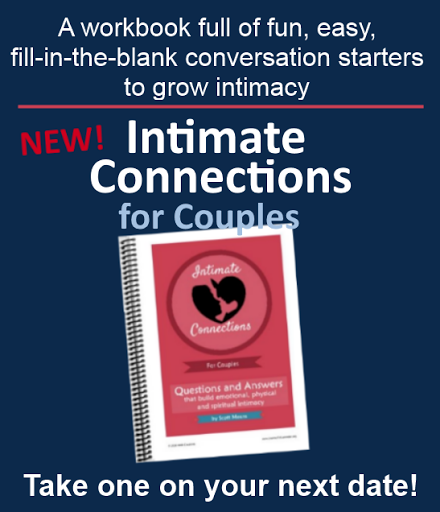 Link up with a few other couples whose marriages you admire and spend time together. Give them permission to speak into your marriage. 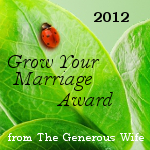 As your marriage matures, be willing to mentor other couples in their marriage journey. I think accountability has gotten a bit of a bad rap. And the reason so many view it negatively is because it’s often tended toward the “someone looking over your shoulder, waiting for you to screw up so they can smack you back in line” kind of thing. That’s not at all how I view accountability. The problem with this kind of sin-focused accountability is that it focuses almost entirely on the negative. By its nature it draws us toward looking in the wrong direction – at sin. I like to think instead in terms of grace-focused accountability. By that I mean rather than being held accountable against the negative, let’s hold each other accountable toward the positive. In a surrendered marriage, we hold Jesus up as the standard and focus on becoming more like him. It naturally keeps our focus in the right direction – on Jesus. So rather than thinking of accountability as a weapon to be used against you (or for you to use against your spouse), think of it as a tool to help you transform your way of living to be more Christ-like: full of life and truth, full of selfless love, full of trust and joy and peace. When you think of accountability, think relationship instead of rules. It’s time for you to chime in. What are some positive, grace-based ways that you and your spouse have found to hold each other accountable in your marriage? 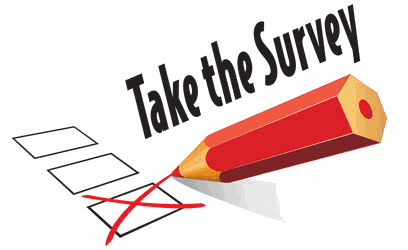 Do you have a mentor couple? Are you acting as one? Erin at Mystery32 has a great post on the importance of community in supporting and strengthening marriages entitled Don’t Do it Alone! . Check it out! Did you know that Journey to Surrender now has a Facebook page! 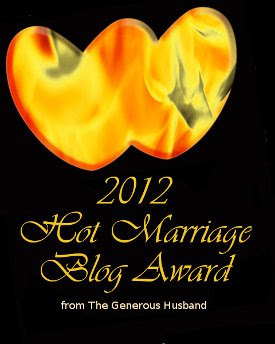 It’s got lots of extra marriage-related stuff like videos, links, news stories, and conversations not found on my blog. Come on over and let’s meet up! I agree with you Scott. Accountability has gotten a bad rap. I find the opposite to actually be the truth, there is a safety in becoming vulnerable to your husband (spouse). As I opened my heart up more and more, I moved closer to God. Absolutely right about the parallel truth that intimacy with God builds intimacy in marriage, but also the other way around! Thanks! Seeing each other as being on the same team helps keep accountability from leaning towards a policing mentality. Love the grace approach instead of the sin focused approach. Ken Sande with Peacemaker Ministries talks about breathing grace each and every day. All our words and actions should extend grace not judgment to our spouse. Great series, Scott! Thanks Debi! When you realize you are one, there is no win-lose in marriage, only win-win or lose-lose. Knowing that helps me keep a grace focus for sure! Great post, thanks. 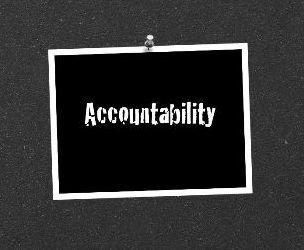 None of us can do it well alone - without accountability we will all end up making a mess.